A Snapchat geofilter, seen over images of Donald Trump and Hillary Clinton on Monday, Sept. 26, 2016. The filter says it was paid for by the Trump campaign. Snapchat claims it reaches 41 percent of Americans between 18 and 34 years old on any given day. 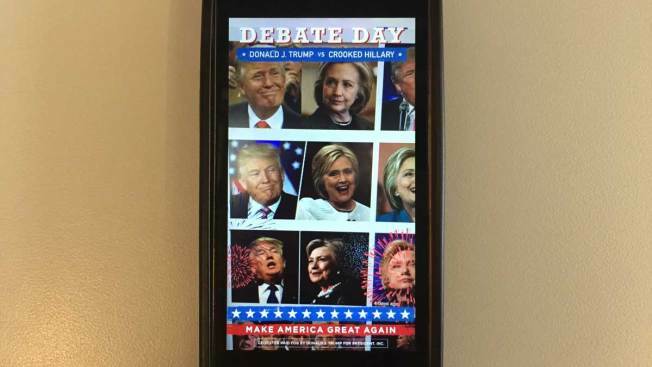 Donald Trump's presidential campaign is trying to win that group over with a new Snapchat geofilter debuted on Monday, the day of his first debate with Hillary Clinton. The star- and firework-spangled "Debate Day" filter uses Trump's trusted epithet for Clinton, "crooked Hillary" on top, where it reads: "Donald J. Trump vs. Crooked Hillary." 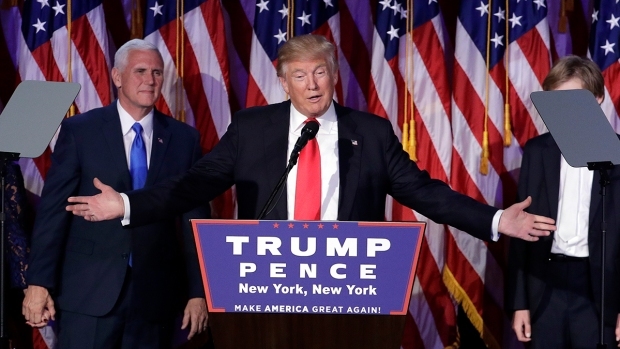 The national, sponsored filter was paid for by Donald J. Trump for President, Inc., according to fine print on the filter itself and confirmed by Snapachat. Geofilters are a feature on Snapchat that lets users overlay images onto their photos or videos. They're often of city or town names, but users can design and purchase their own filters to be used in certain places for periods of time. The filters must be approved by Snapchat. Clinton and her allies were outspending Trump's campaign in TV ads by a 5-to-1 margin as of last week, NBC News reported. Clinton has purchased ads on Snapchat before, including during the Republican National Convention, but didn't have a Snapchat filter of her own on Monday. The Trump campaign — which has grown in part on the strength of the candidate's Twitter presence — is no stranger to using social media to score points in the debate. Earlier this month, Donald Trump Jr. drew outrage along with retweets when he posted an image showing the internet meme Pepe the Frog, which as been used by some white nationalists, next to his father. Watch the debate here at 9 p.m. ET.